With our simple, fast, and easy-to-use gold buying service, you can sell your gold online effortlessly. Our price promise means we won’t be beaten on price. 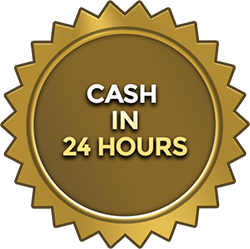 As one of the UK’s most trusted precious metal and gold buying companies, we can make you an offer for your gold or other precious metal within 24 hours. We offer better prices for your gold than the high street jewellers as we base our prices on the current market gold price. Get in touch with us and we’ll send you your FREE Gold Pack and a pouch. Inside you’ll find a form for you to fill out and pouch for your unwanted or scrap gold and other precious metals. You’ve got nothing to lose by seeing how much your gold is worth. For your peace of mind, postage is free and completely covered by the Royal Mail’s secure package insurance. Once received, we’ll call you with our best quote for your gold. Our FREE Gold Pack is sent via special delivery, so you’ll receive a quote for your gold within 24 hours of sending it to us. We’ll send the cash for your gold via online bank transfer and if you find a better quote elsewhere, we guarantee to beat it. If for any reason you decide against selling your gold or platinum to us we’ll send it back to you completely free of charge. We will charge to return non-gold or precious metal items. Looking to trade in your old, unwanted scrap gold for cash? If you agree to sell gold online with our services, we’ll pay for your precious metals within 24 hours. Get in touch today and request your FREE Gold Pack.